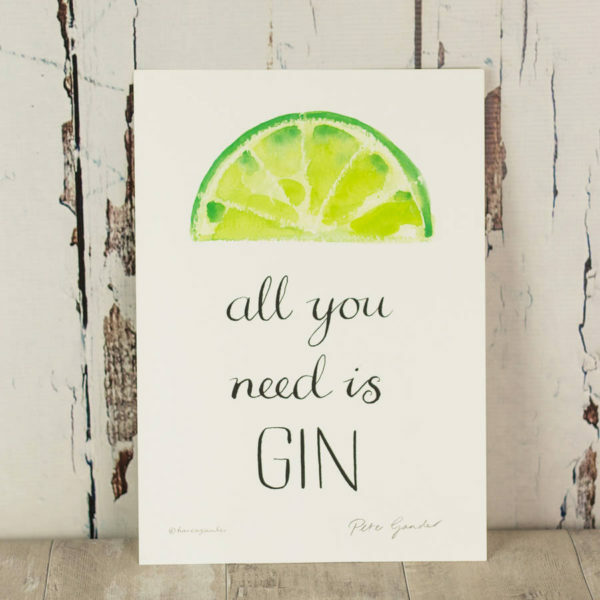 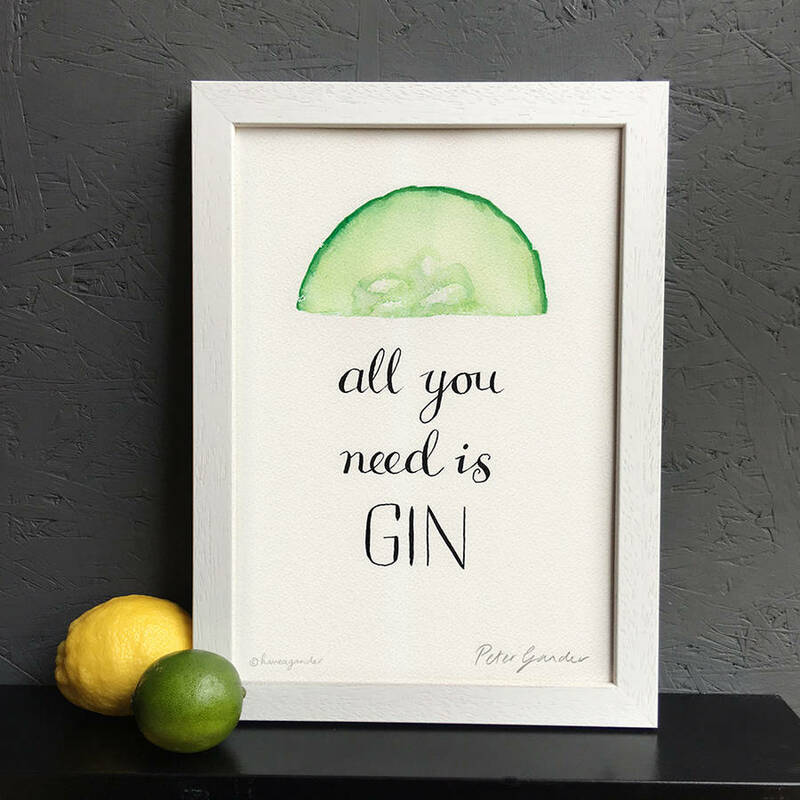 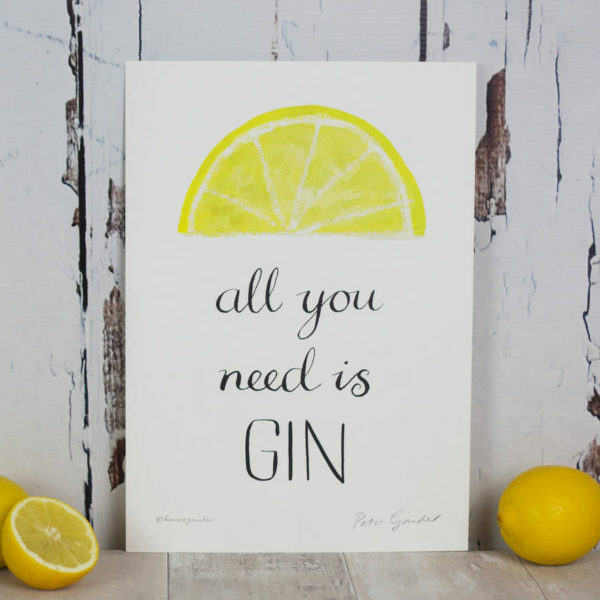 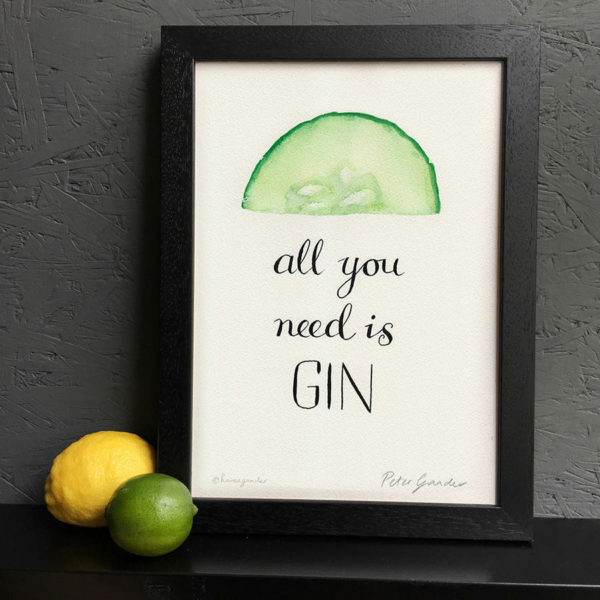 This humorous gin & lemon, lime or cucumber print is sure to tickle friends and family who love a little ‘mother’s ruin’! Prints originally hand-drawn by Peter Gander in scratch pen, ink and watercolour and printed on 300gsm Callisto pearl card in Kent. 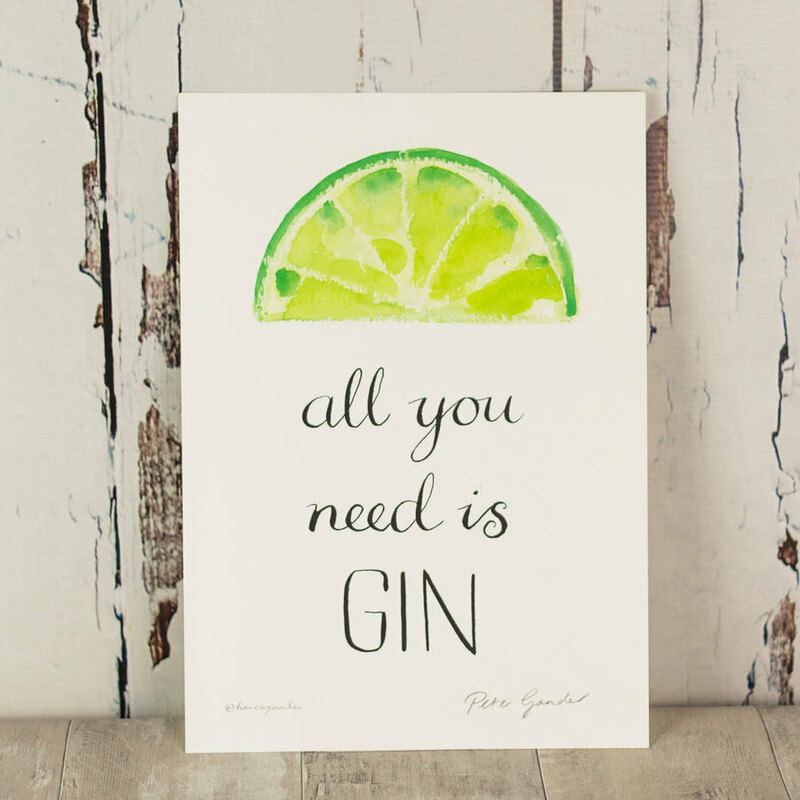 Available in an A4 standard size that is easy to buy off-the-peg frames for. Now available personalised, add your own message, just let us know what message you’d like and leave it to us.